Leah Chase has been working in what is now Dooky Chase’s restaurant since the 1950s. She still works in the kitchen today, at 96. 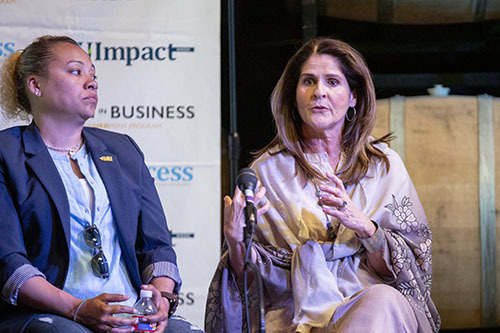 On Tuesday, she accepted the first 2019 InnovatHER award, presented by TruFund Financial services, honoring her legacy as a female entrepreneur and business owner. 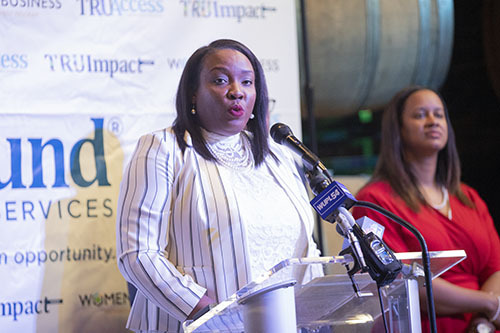 The award was presented at a press conference by TruFund Financial Services where they announced their participation in the Wisdom Fund, a national loan fund targeted to women entrepreneurs. The event was held at NOLA Brewery. Despite these successes, female business owners still face struggles in business financing. Female-owned businesses, historically, receive less than 5 percent of small business loans. 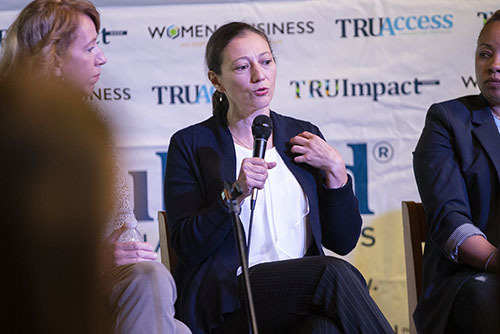 Only 2 percent of start-up and venture capital is invested in female-owned businesses and 16 percent of conventional loans — all kinds of loans — goes to female-owned firms, according to Evans. 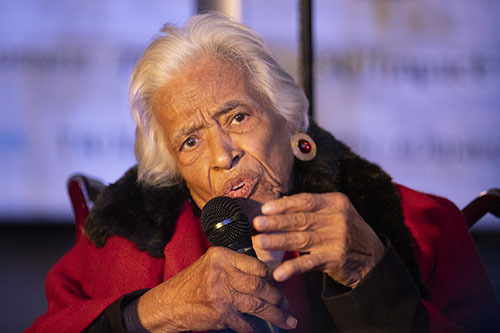 Just as TruFund invest in women in management positions, Leah Chase, in her acceptance speech, called on young women to believe in their power and know their worth. 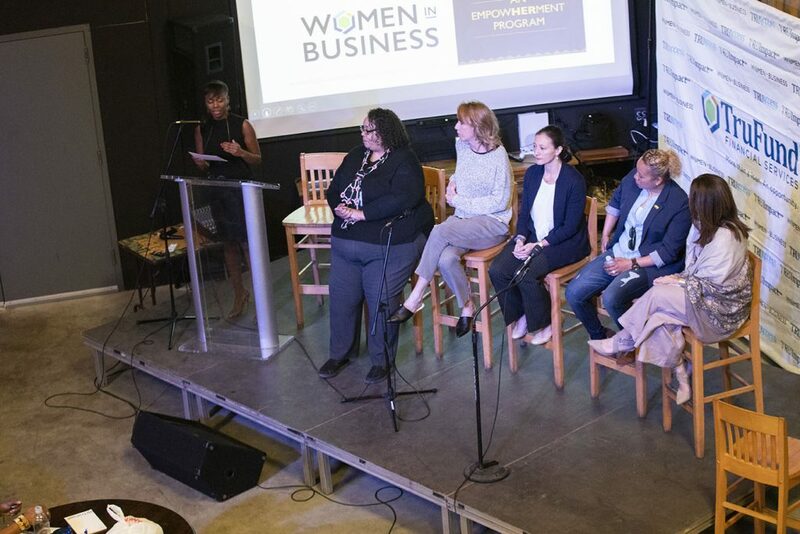 Following that press conference, a panel featuring Chanel Labat, contract manager at the Ernest N. Morial Convention Center; Amanda Daily, co-owner of Queork Boutique; Julie Araujo, co-owner of Queork Boutique and contract attorney; Iam Tucker, president of ILSI Engineering; and Teresa Lawrence, CEO at Delta Personnel, discussed the different challenges women face as business owners, managers, presidents and CEOs. Keeping in line with Leah Chase’s point about women recognizing and using their power, the panelists discussed negotiating, something women have historically struggled with. There are various schools of thought as to why. Some researchers found that women receive push-back when negotiating, others found some women see fewer situations as negotiable. Araujo, who deals a lot with terms and conditions in her legal practice, expressed some of women’s issues in this arena. The panelists discussed the importance collaboration and empowerment, another point Chase touched on. Teresa Lawrence, CEO at Delta Personnel, highlighted the point that women are not competing with each other. They can, and should, help each other.